The referendum area is identified on the map which is included in the documents Purton Basic Condition Statement and Purton Neighbourhood Area Decision Report above. The referendum area reflects the area that has been designated as the Purton Neighbourhood Area. A neighbourhood plan is our chance to have a say in the future of our parish. It is a powerful tool for shaping the development and growth of a local area. Until the Localism Act in 2011, it was almost impossible for local communities such as ours to have a say in the planning matters that shape the place where we live. The Localism Act gives local communities the opportunity to develop a shared vision for their Neighbour Area and to shape the development and growth of their local area. Neighbourhood Plans are developed from within the community, and provided they achieve necessary legislative milestones, they become “made” and are used by the Local Planning Authority in determining planning applications and making policy. Neighbourhood Plans have to be prepared in accordance with the Local Planning Authority’s adopted Local Development Plan, in this case the Wiltshire Core Strategy (WCS), adopted 20 January 2015. They also have to follow the National Planning Policy Framework 2012 (NPPF) which sets out the structure for the planning of sustainable development. The WCS is the strategic plan for Wiltshire, and provides both generic and place-based policies to guide development. The WCS provides the local context for the neighbourhood plan whose policies and proposals must be in general conformity with its policies. The Neighbourhood Plan offers the specific, place-based detail to show the type of development that local people would like to see, and shows the appropriate locations for this. In 2013, the Parish Council decided that we should have a neighbourhood plan and under the auspices of Wiltshire Council, we came together with six other parishes in the Royal Wootton Bassett and Cricklade Community Area to develop a joint Neighbourhood Plan under the Governments “Front Runner Scheme”. The group was North East Wiltshire Villages (New-V). The first consultations were undertaken during 2013. It started with drop in workshops in February 2013 followed later by an online survey which ran for 12 weeks up to September 2013. The feedback from the workshops and the online survey provided the basis to determine what parishioners wanted to see in our Neighbourhood Plan. However, with the increasing pressure for development in the parish, the Parish Council decided at the beginning of 2016 year to take our plan forward independently with the aim to complete it by the end of 2016. 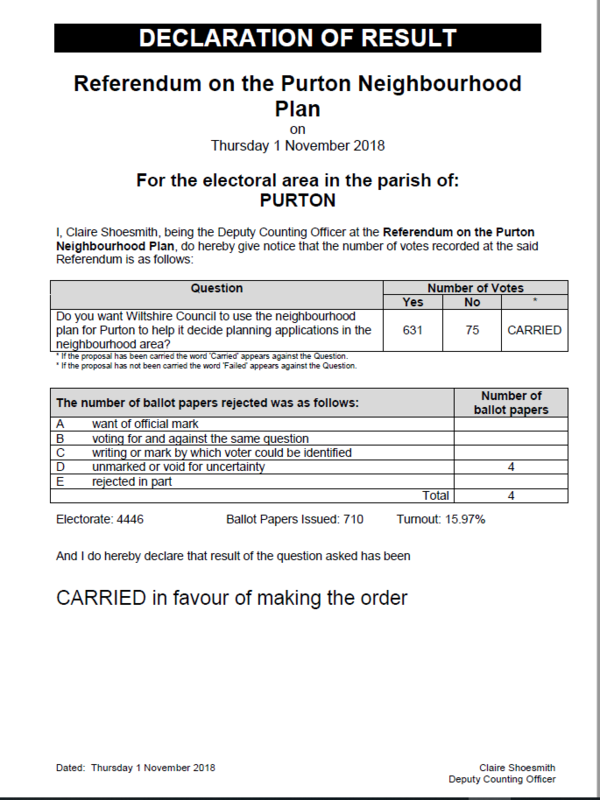 In February the Parish Council applied to Wiltshire Council for the neighbourhood area to be predesignated to allow Purton to have its own separate plan. The designation for Purton went out to consultation on the 27 June 2016 and, after untangling the legalities of separating out Purton from New-V, was approved by Wiltshire Council in December last year (2016). The first version of Purton’s Neighbourhood Plan was published on the Parish Council website in October last year (2016) and was sent to Wiltshire Council for comment. Comments received from parishioners and Wiltshire Council were incorporated into the draft Plan ready for the Informal Consultation held at the beginning of this year (2017). The Informal Consultation was open to all parishioners and with walk-in sessions on the evening of Wednesday, 25 January and the afternoon of Sunday, 5 February at the Village Hall in the centre of Purton. These two events were publicised through the parish council website, the parish magazine, banners in the village, a leaflet drop across the parish and within local networks. The responses and comments received from this consultation, which also included comments from two developers for sites in the locality, were reviewed and appropriate changes identified have been incorporated into the latest version of the plan. The latest version of the Plan including the supporting documentation and a Statement on the second consultation are available above. 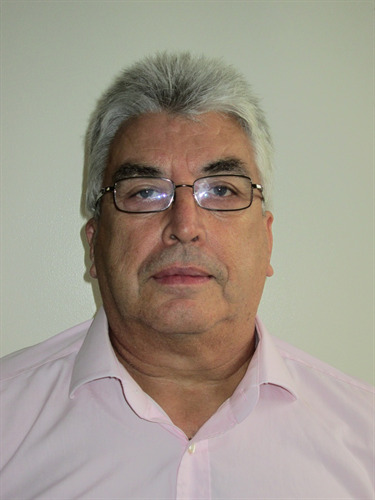 After the completion of the formal consultation in accordance with Regulation 14 of the Neighbourhood Planning (General) Regulation 2012 and the feedback from the consultation is incorporated into the Plan, it will be sent to Wiltshire Council. They will appoint a Planning Inspector to review the Plan. When completed, a final version of the Neighbourhood Plan will be produced which will then be subject to a Referendum in which all residents in the parish will be able to vote on the Plan.